Nelson Sewing & Crafts | Let's make something awesome today! Whether you have a formal dress that needs altering, jeans that need patching, or zipper that needs repairing or replaced Nelson Sewing & Crafts is here to help you with all your sewing needs. Check out our boutique for some creative and useful handcrafted items that are great for unique gift giving or even to pamper yourself. 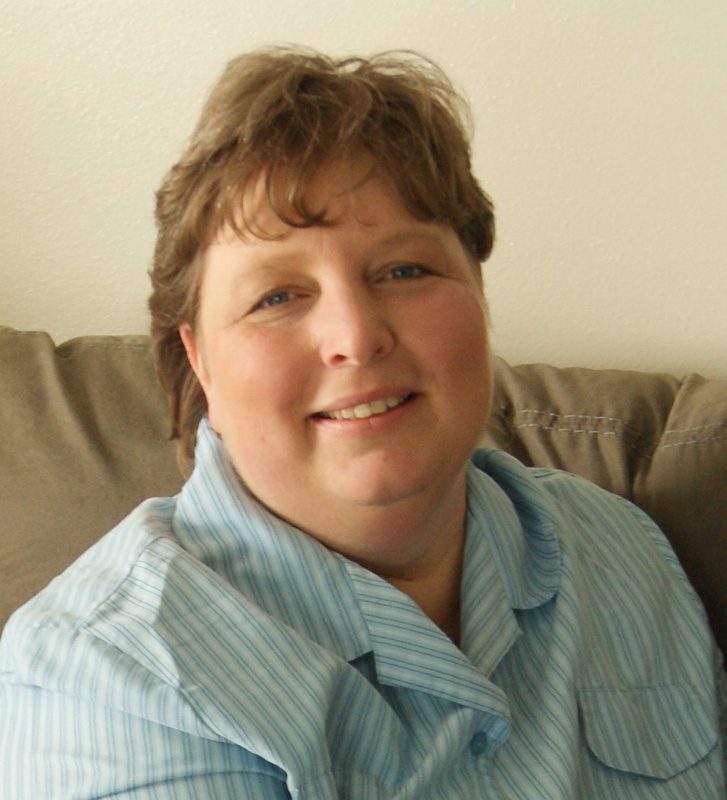 My name is Nancy Nelson and I am the owner of Nelson Sewing & Crafts. My goal is to offer you the best sewing services I possibly can. I also want to share my knowledge and skills with you through blogs, tutorials, and courses. I have been sewing since the age of 13, wow that’s over 35 years already. Please don’t do the math. Suffice it to say I’ve been sewing for a very long time. I really began sewing for people professionally when I was in college to earn extra spending money. Then I continued to sew part-time while working full-time jobs and raising my family. I am offering you the opportunity to learn what I’ve learned over the years. Share the fun stuff of sewing, and yes even the frustrating stuff. It is my hope that you will join me on this journey. Let’s make something awesome! Alterations cover a wide range of clothing and other items including formal wear. Alteration includes shortening, lengthening, taking in, letting out and more. Nelson Sewing has literally performed hundreds of kinds of alterations and would likely be able to handle your alteration. It happens all the time. We have a garment or item that is in perfectly good shape with the exception of some small problem. At Nelson Sewing repairs can be made on everything from zippers, holes, and missing buttons to stitching seams, patching jeans and replacing zippers. Mending tends to be included under repairs. In general, mending is defined as garments that need very minor repairs. I usually count those tiny little holes, an opened seam that needs restitching, a pant hem that came loose, buttons to be replaced and other similar minor repairs as mending. Custom sewing is offered at Nelson Sewing & Crafts. It works much better if you provide the pattern and the fabric. I am not a pattern maker or designer even though I think that would be very cool, I just don’t have those skills. We can make home decor items such as curtains, throw pillows, valances, table runners, tablecloths, pillowcases, baby bedding, seat cushions, chair covers, craft items and other kinds of sewing projects. Get your graduation gift order in early. Order a custom t-shirt quilt between October 1 and October 31, 2018, for $100 off the regular price. Deliveries will be made by April 1, 2019, or sooner. 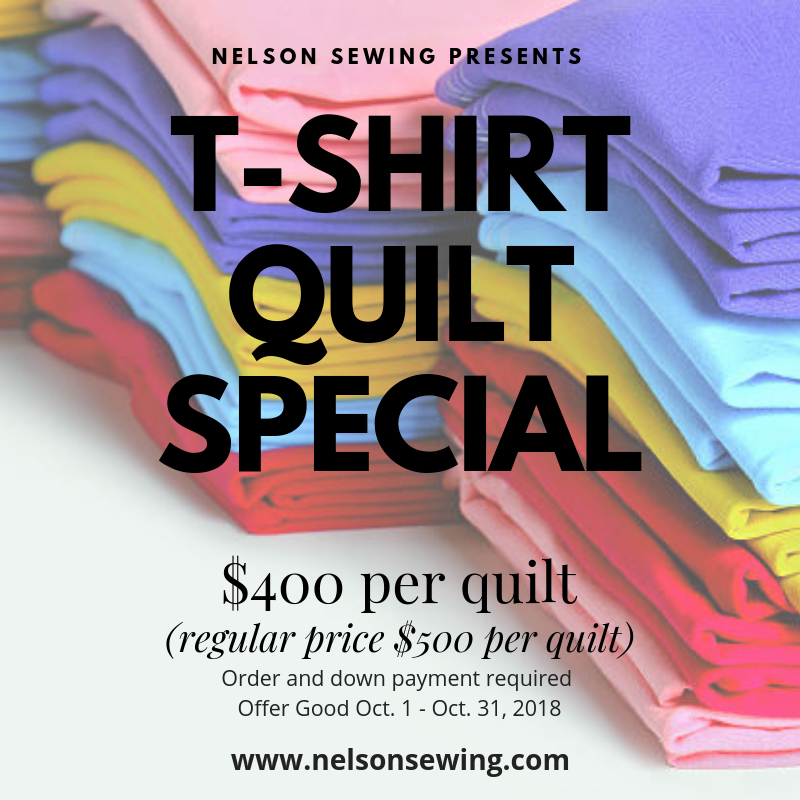 Complete the downloadable PDF order form and include the 50% downpayment, and deliver or send them and your t-shirts to Nelson Sewing & Crafts no later than November 5, 2018.